Harry W. Mowbray - Mowbray & Son, Inc.
Harry W. Mowbray started working with his father at Mowbray & Son Plumbing and Heating, Inc as a teenager. His first job as an apprentice plumber was at Milton Young Towers in Minot, ND. Harry joined his father, Harry L. (Bud) Mowbray as a partner and a 3rd generation Master Plumber in 1972. 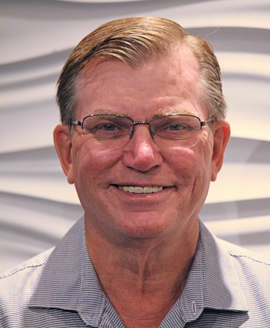 Harry has been on the City of Minot Plumbing and Heating board, the ND International Building Code Review board, a member of the Minot Elks Club, Minot Y’s Men, and is active in maintaining the Triangle Y Camp. Harry is proud of all the numerous projects his company has been involved in. These projects include the Minot Water Treatment Plant, Trinity Health, Trinity Cancer Care, and several projects at Minot State University, Maysa Arena, Armed Forces Reserve Center and several Performance Contracts with Minot Public Schools, several schools in Minnesota, and the Sioux Falls VA Medical Center. He is also proud of the long standing history with the Minot Air Force Base. Some of the projects with the MAFB include the Pride Building, Security Forces, Fire & Rescue Station, four MAFB dormitory projects, and MAFB Building 475/547. Harry is semi-retired but continues to be involved as an estimator and advisor to both Mowbray & Son, Inc and City Air Mechanical, Inc.